One interesting aspect of research in this field is how human communication evolved from from a set of animal vocalization (like barks, howls…) to a set of structured symbols, along with phoenetics(the sounds), syntax(the grammar) and semantics(the meaning). Even though animals use signs to communicate different meanings, such as scent to mark it’s territory, humans do this mainly through symbols which are usually expressed through words. The time when language first appeared is still a matter of debate and perhaps the answer will never be known. Maybe it was around genus Homo, 4-5 million years ago, or with the advent of modern man, Cro-magnon, around 125 thousands years ago. We know that neanderthal man had a brain that was larger than ours but his voice box seemed more of that of an ape. Today we can say that 10,000 years before the trail goes cold, so perhaps we will never know. One of the biggest debate among linguists around the origin of language is whether we can account for it only through the basic mechanisms of learning, or if we need to postulate some special built-in language-readiness. The learning-only people (for example, B. F. Skinner) say that childhood conditioning, or maybe modeling, can account for the complexity of language. The language-acquisition-device (LAD) people (such as Chomsky and Pinker) say that the ease and speed with which children learn language requires something more, some sort of special neural mechanism. In most mammals, both hemispheres looked very much alike. Somewhere in humanity’s early years, a few people possibly inherited a mutation that left one hemisphere with a limited capacity. Instead of neural connections going in every direction, they tended to be organized more linearly. The left hemisphere couldn’t related to things in the usual full-blown multidimensional way, so this diminished capacity proved to be very good are ordering things linearly. And that’s exactly what language needs: the ability to convert fully dimensional events into linear sequences of sounds, and vice versa. 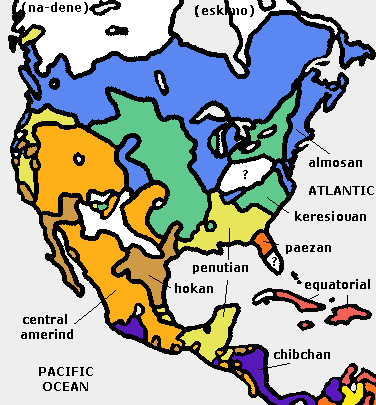 A very good reference for any given language can be found at Ethnologue site. According to a 2005 edition there were 6,912 living languages, of these only 2,719 have 10,000 or more active speakers and only 1,114 languages have more than 100,000 speakers. Thus it is considered that the total number of languages will half or will be no more than 1000 in a century from now. This also due to our era of digitized information where the trend for large social groups, especially in the young, is to use a mainstream language such as English or Chinese. These languages are classified into 136 different language families (top-level genetic groups). But among these, only six are accounted for nearly two-thirds of all languages and 85% of the world’s population. With 24 living languages, 501,709 speakers or 0,01% of the word’s population. The people are called the Bushman or the Hottentots. The largest sub-Saharan African family of languages. It has 1524 active languages with 430,784,205 speakers (6,91% of world population). With 198 active languages, 41,787,061 speakers representing 0,67% of the word population. A major language group with 366 active languages, 362,281,758 speakers (5.81%). It includes ancient Egyptian, Hebrew, and Aramaic, as well as the great Nigerian language Hausa. The single largest family with 436 languages, 2,916,732,355 speakers(46,77%). Languages include Hindi and Urdu(400 million), Bengali (200 million), Spanish (300 million), Portuguese (200 million), French (100 million), German (100 million), Russian (300 million), and English (400 million) in Europe and the Americas.With English alone you can reach out to about 1 billion people. With 37 languages, 20,901,963 speakers (0.34%). Best known are Finnish, Estonian, Hungarian, and Saami, the language of the Lapplanders.Spoken in Estonia, Finland, Hungary, Latvia, Norway, Russian Federation, Sweden. Includes just 33 languages, with 6,439,588 speakers(0.1%). 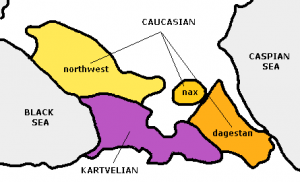 Best known languages are Abkhasian and Chechenian. Georgianis considered to be similar to a Indo-European language.Spoken in Azerbaijan, Georgia, Russian Federation. 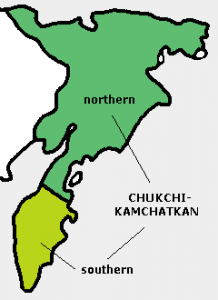 Small family with only 5 languages spoken in Siberia, Russian Federation. Only 6,875 speakers are nowadays, close to extinction. Includes 62 languages, spoken by 144,263,862 people (2.31%). 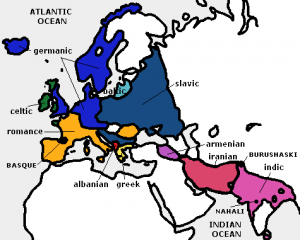 It has a very similar grammatical construct as the Uralic languages.Best known are Turkish, Mongolian, Korean, Japanese (125 million speakers).Spoken in Afghanistan, Azerbaijan, China, Georgia, Iran, Kazakhstan, Kyrgyzstan,Lithuania, Mongolia, Russian Federation, Turkey, Turkmenistan, Ukraine, Uzbekistan,Korea, Japan. 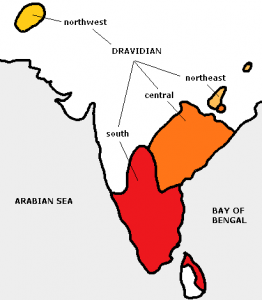 Old languages of India, 84 of them, with 229,317,060 speakers(3.68%). Best known are Tamil and Telugu.Spoken only in India, Nepal, Pakistan. Important family, includes 456 languages, 1,268,209,279 speakers(20.34%). Includes some more families such as Austro-Asiatic, Mio-Yao, Daic. 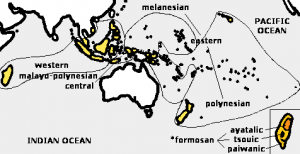 Austro-Asiatic family has 171 languages and 102,480,229 speakers(1.64%). 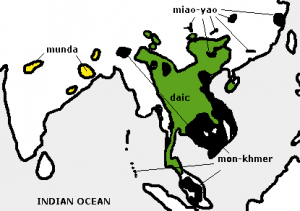 Best known for Munda in India and Mon-Khmer in southeast Asia, Vietnamese.Mio-Yao has 4 languages, seven million speakers, found in southern China and southeast Asia.Daic consists of 60 languages, especially Thai (Siamese). In total there are 1,221 languages, spoken by 345,818,471 people(5,55%). 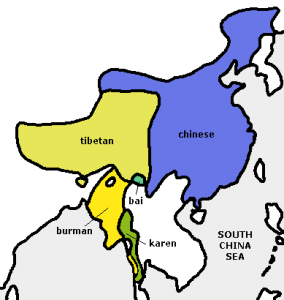 Here the best known are Malay and Indonesian, Madagascar in Africa, Tagalog in the Philippines, the aboriginal languages of Formosa, Hawaiian in the north Pacific, Maori in New Zealand.It can be found mainly in Brunei, Cambodia, Chile, China, Cook Islands, East Timor, Fiji,French Polynesia, Guam, Indonesia, Kiribati, Madagascar, Malaysia, Marshall Islands, Mayotte, Micronesia,Myanmar, Nauru, New Caledonia, New Zealand, Niue, Northern Mariana Islands, Palau, Papua New Guinea,Philippines, Samoa, Solomon Islands, Suriname, Taiwan, Thailand, Tokelau, Tonga, Tuvalu, United States,Vanuatu, Viet Nam, Wallis and Futuna. 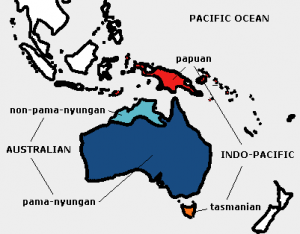 Indo-Pacific family consists of 475 languages, with 3,536,267 speakers. Spoken especially in New Guinea. Tasmanian also part of this is now extinct. It includes 203 languages of the Australian aborigines, with only 40,544 speakers. Consists of 10 languages with 110,310 speakers. Found in Canada, Greenland, Russian Federation, United States. Family of about 20 languages with 200,000 speakers. 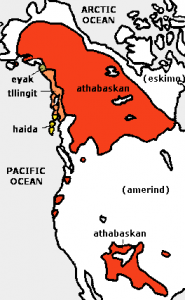 Best known are Tlingit, Haida, Navaho, and Apache. Amerind family consists of Amerind includes nearly 600 languages,with 20 million speakers. Best known in North America are Ojibwa and Cree, Dakota (or Sioux),Cherokee and Iroquois, Hopi and Nahuatl (or Aztec), and Mayan. 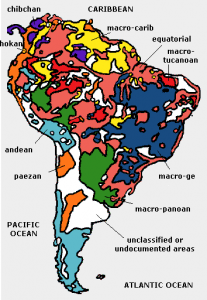 In South America we can find Quechua (Inca), Guarani, and Carib.